Gruber Communications state-of-the-art manufacturing facilities combined with our technically sophisticated sales force makes us your “one stop shop” for a variety of custom product manufacturing and presentation. We can manufacture single, duplex, and multistrand singlemode or multimode fiber assemblies in most any length and using a variety of high quality fiber optic connectors. Along with the manufacturing of Category, D-Sub, Coax, and other industry standard cable assemblies, our capabilities include the ability to create most any cable assembly you may need. Our metal shop can bend metal into most any shape and size. We manufacture racks, shelves, patch panels, and a variety of other network related products daily, and can manufacture these and other specialized metal products specifically for you or your customer. Along with our ability to manufacture according to customer requirements, we also provide our customers the option of Private Labeling and Packaging. We can create lablels and artwork, including your company logo, based on your specifications and supplied artwork. We can then package your product according to your needs, including presentation for retail display. 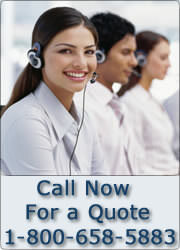 Let us quote you on your next project. You will be pleasantly surprised at the cost effectiveness of outsourcing your custom work to a company with our wide array of manufacturing capabilities and expertise.